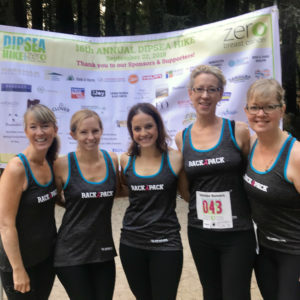 On September 22, 2018, Corporate Visions’ “Rack Pack” returned to the beautiful, challenging, and iconic Dipsea trail with the Zero Breast Cancer Foundation (ZBC). This year the team raised over $6,000, exceeding its goal by $1,000. 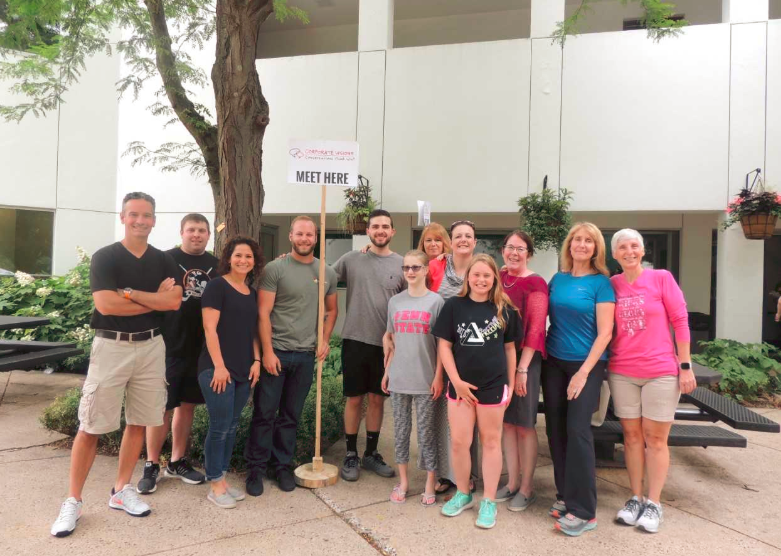 Hiking for breast cancer education and prevention has been an annual Corporate Visions tradition for five years in a row and this year, the company was an official corporate sponsor. The hike is a 6.8-mile ramble over parts of Mt. Tamalpais in Marin County, California. It starts off with 688 calf-busting uphill stairs leading to the trail itself, which is filled with cooling ocean mist from Stinson beach, breathtaking hillside panoramas, and seemingly magical forested paths. The Rack Pack had five teammates this year, including one new team member, Colleen Brode! Colleen is a Marin County resident, mother and amazing hiker. We also had some alumni join us: Jaime Farrar, Fabiana DeGenova, and Melissa Hereford are ZBC hikers from the first two seasons. Meghan Peddicord was once again Team Captain and official “air checker” on the stairs, making sure the air was deeply inhalable every few hundred steps. It was a lot of fun to catch up with each other and get to know Colleen better! Much like Corporate Visions, ZBC is all about the scientific approach to its service. It has a long and distinguished track record as a community partner with scientists seeking to understand breast cancer risk factors in our physical and social environments. Together with their scientific partners, ZBC creates innovative, integrated health and wellness materials that promote practical ways to reduce the risk of breast cancer. They distribute those materials to high schools, health and wellness clinics, girls’ clubs and through social media. A particular area of focus for ZBC is the underprivileged, undereducated community because ZBC believes that every young woman, regardless of socio-economic position, should have the information she needs to stay healthy and avoid this terrible disease. 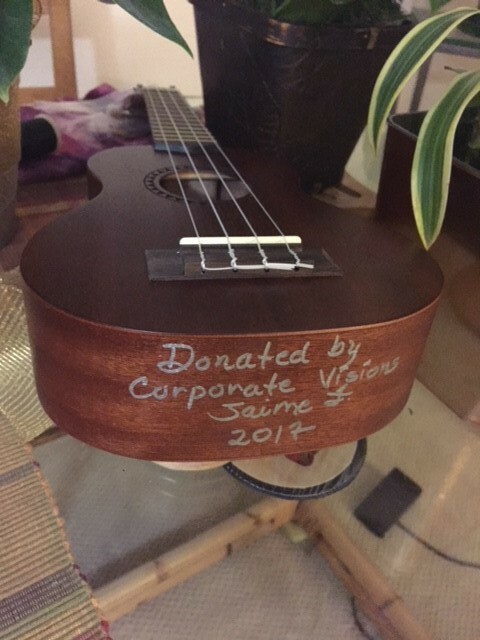 Thank you to all of our Corporate Visions colleagues for their kind and generous donations and to the Power Foundation for its 100% employee matching funds! Join us next year! 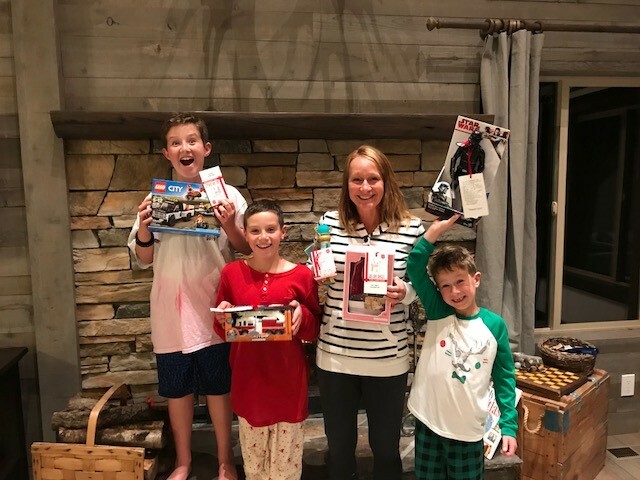 Every December, Person-to-Person opens its “Toy Store”, a marvelous pop-up holiday shop where client families select a free toy, book and board game for their children for the holidays. Gifts are chosen, and wrapped during Person-to-Person’s on-site “Toy Store” in Darien, Connecticut. This year P2P’s Toy Store delighted more than 1,900 children.! 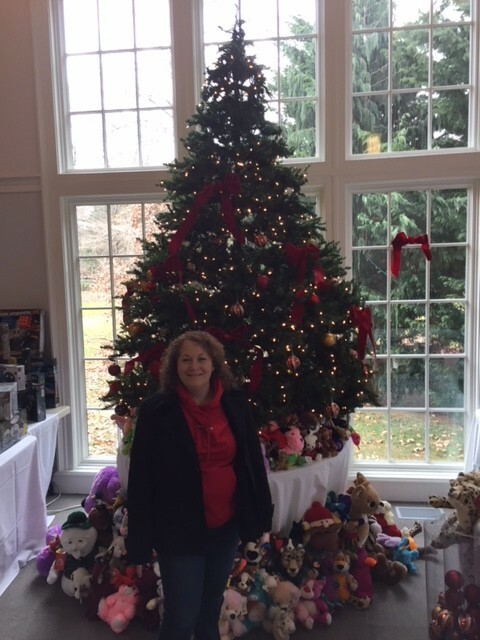 Lisa Slen helped set-up the holiday ‘pop-up’ Toy Store on Wednesday, December 13, 2017. 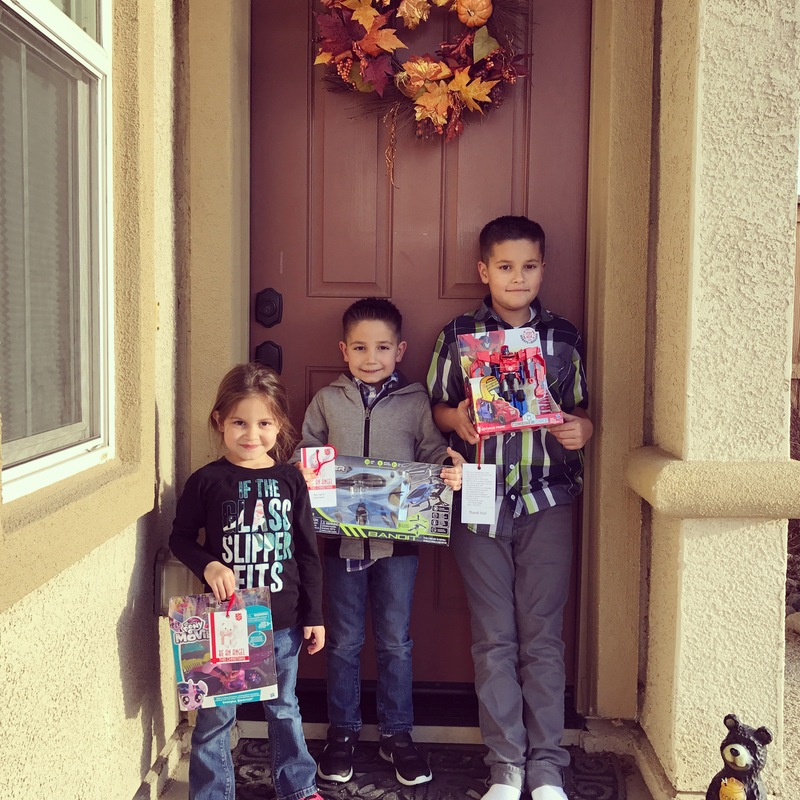 Beautiful Fragoso children offer gifts for Angel Tree in Reno: Shiloh , Jeremiah , Elijah . Wishing you joy and peace this holiday and throughout the years! 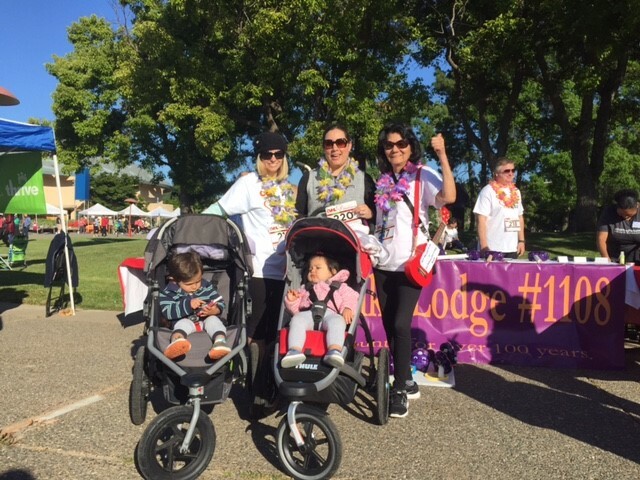 On May 13, 2017, Corporate Visions employees Lynn Zambrano, Jaime Farrar, Charlotte Kobayashi partnered with Elks Lodge #1108, Dennis McNell, Officer, to fund raise for music education for youth and to support Veterans in Northern California, by walking the 5K Bay Area Human Race at Marin Civic Center. The team raised $3500. 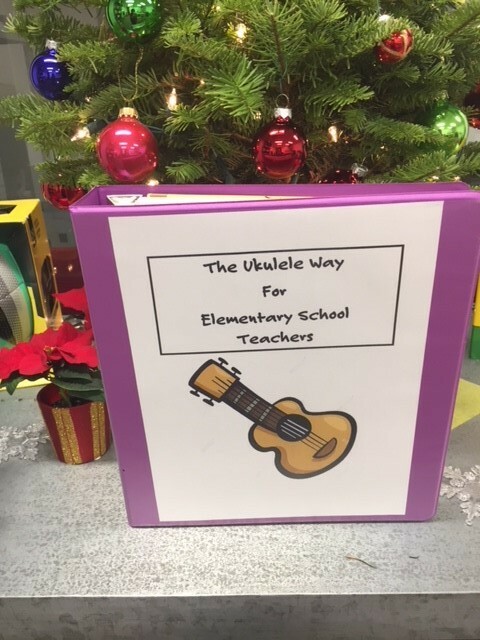 With these funds, we will complete 6 ukulele workshops for 6 elementary school teachers, develop a 9 week curriculum in process to be copyrighted [pro-bono by a entertainment lawyer, Bob Gordon] to potentially be used for elementary school music program county-wide. 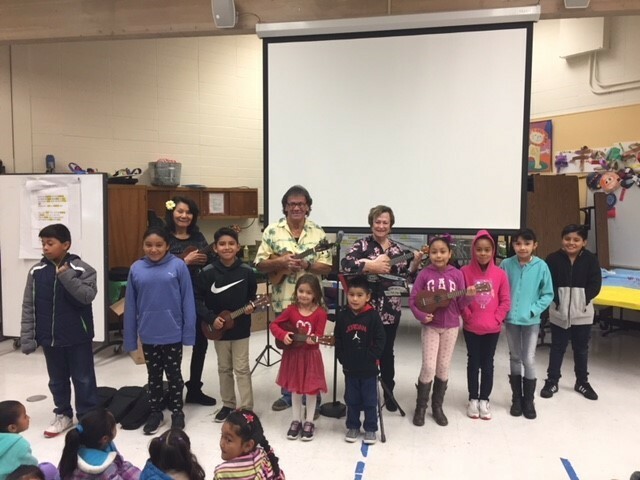 Thanks to The Magic Flute Music Store, we were able to purchase the first set of 26 ukuleles for Laurel Dell Elementary School in San Rafael to add to their music program for 4th graders. 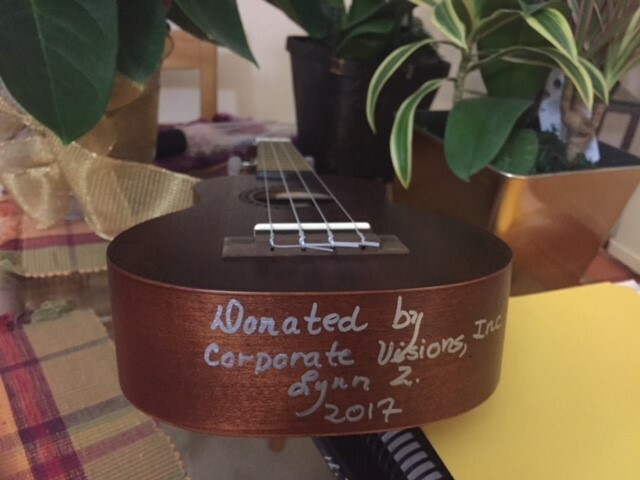 Fundraisers’ names were inscribed on the bottom of each ukulele. Here are a few: Donated by Corporate Visions- Lynn Z; Donated by Corporate Visions – Jaime Farrar, others not shown- Donated by Mike F; Donated by Matt G.etc. A performance of all the students from the 6 schools is scheduled for March 29, 2018 at the San Rafael Elks Lodge #1108, main ballroom which will hold 200 people. Parents, other teachers, ukulele clubs and Mary Jane Burke, Marin Superintendent of Schools has accepted our invitation to attend and do the closing words. This is open to the public, everyone is invited to watch the first performance of 100+ 4th graders, many of them, playing the ukulele for the first time. Thank you for your contributions – small sums added together make a huge difference. Let’s change the world through music the ukulele way! 86 Bicyclists for 4th Graders! Corporate Visions, Inc. partners with San Rafael Elks, private donor, and Bicycle Odyssey to award 10 more bicycles to deserving 4th grade students of Laurel Dell Elementary School on November 9 2017. 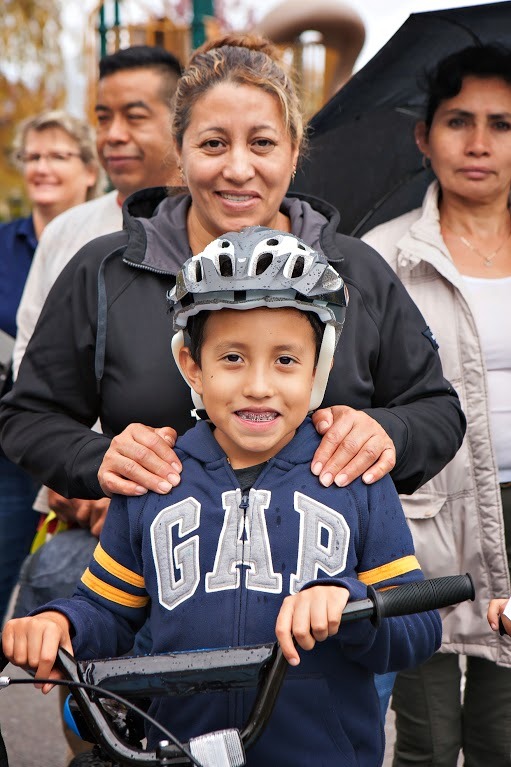 Eight of the bicycles were funded through San Rafael Elks grant funds, one set from Corporate Visions and one from an on-g0ing private donor. And now, after 4 years of awarding bicycles, there are 86 bicycles wheeling around the county. Many of these students walk to and from school and are not able to participate in extra curricular activities after school due to lack of transportation. These happy 10 students now have brand new $325 bicycles [purchased at cost price], plus safety helmets, and a lock to bicycle themselves to and from school, ride with friends and family and participate in additional activities after school and weekends. Due to the North Bay fire, air pollution and lack of manpower to man the Peak Hike Trail, the October 15th BCPP 7 mile Peak Hike was cancelled. 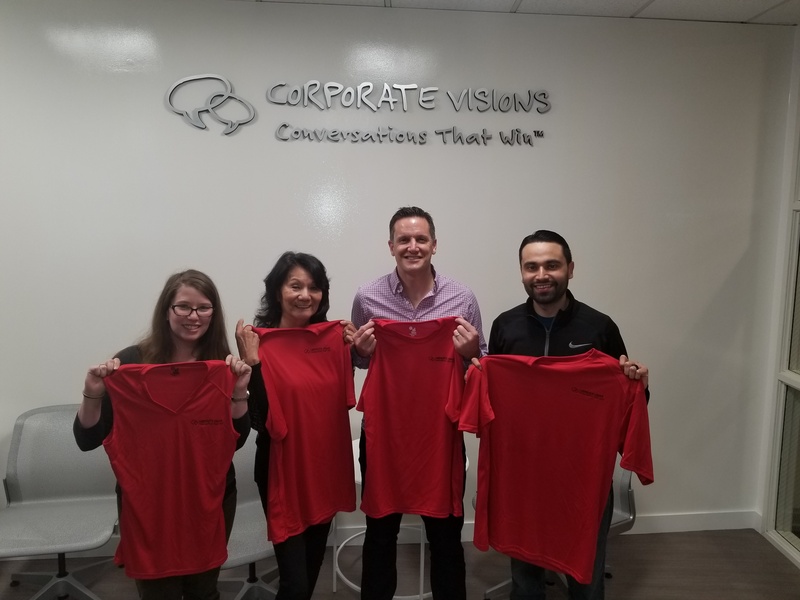 Some of the team members proudly show their unworn Corporate Visions’ tee shirts. 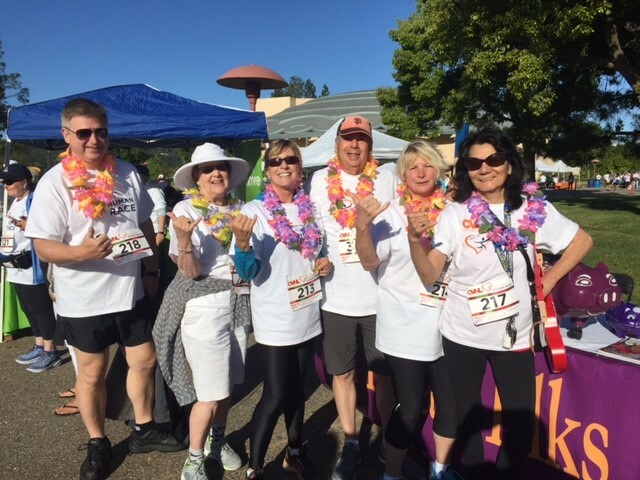 Partnering with CVI were San Rafael Elks Lodge and UCSF staff. The team led by Captain Meghan Peddicord exceeded their goal of $6000. The Peak Hike is not being re-scheduled this year. 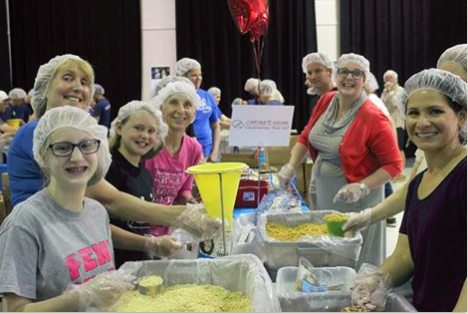 Some of us joined teams to prepare quiche and sandwiches for the North Bay fire evacuees. 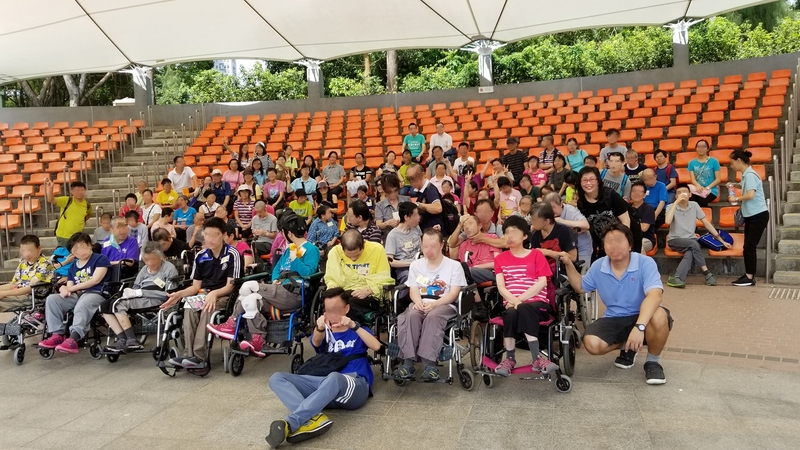 Fu Hong Society, (an organization serving people with intellectual disabilities, psychiatric disabilities and those with autism), organized the sightseeing at Tai Po Waterfront Park on October 9, 2017. Roxanna Yuen took care of two service users and walked them around the park – the insect house and ponds. They were mainly interested in seeing the fishes and tortoises. The most exciting part of the day was the barbecue lunch. The service users were all looking forward to the barbecue as they are generally not able have this type of food. Roxanna was responsible for grilling the food. They were overjoyed! See their lovely smiles in photo. On October 13th, 2017, Sarah McMahon volunteered for 6 hours for the annual Jog-a-Thon Fundraiser. The event raised $35,000 to pay for the physical education and wellness programs at Incline Elementary School. 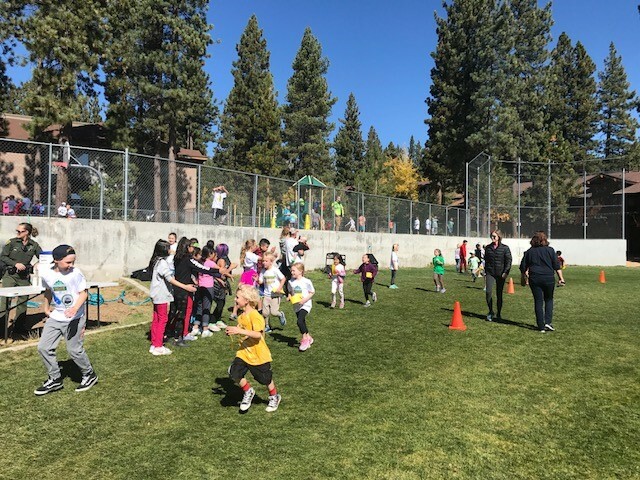 Kids from Kindergarten through 5th grade run as many laps as they can in 30 minutes.